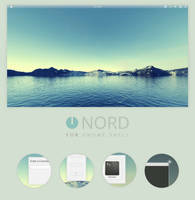 This themes comes also with: AWN Theme, CoverGloobus Theme, Conky files, Firefox Startpage (a modified version of startpage by =Folter-x),Gnome-panel (and AWN) background images. 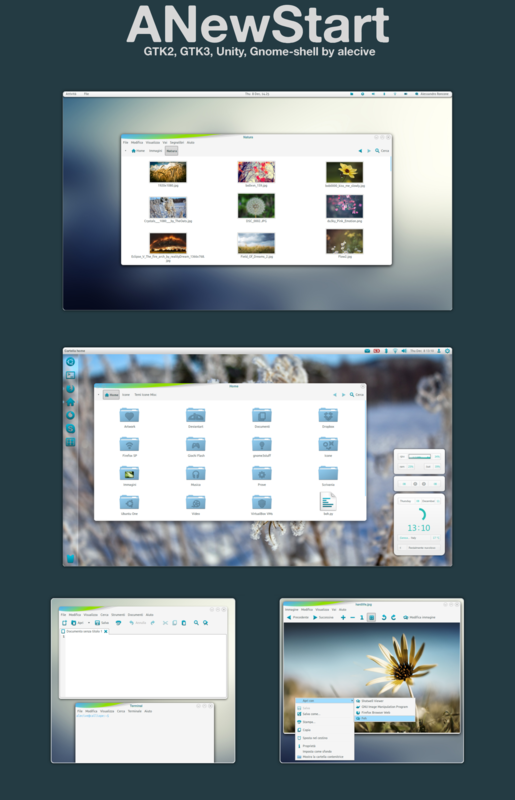 Unfortunately, since 1.3 version these themes are not fully supported, since for compatibility reasons with GNOME3 they became quite useless or unusable. 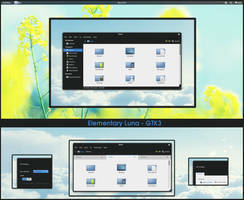 GTK3 -> Unico GTK3 engine version 1.0.1 or later (only if you're using Gnome 3 or GTK3 applications). Added Unity support; there is also a "Unity tweak" folder with images you can use to beautify your Unity experience (simple instructions are in the README pdf file). 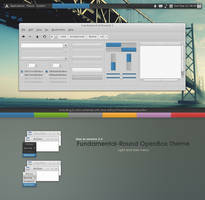 Refresh of the GTK theme, now more clear and with a lot of improvements! 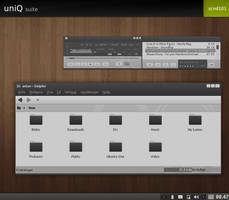 GTK Theme: solved the issue with dropdown menu (as in the top-right part of nautilus window) - thanks to viniciuszeratul! is there a dark version?? Hi, your theme is pretty awesome ! But i have some issues regarding the theme. 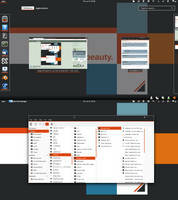 I'm using Fedora 18, I installed all the extracted package into ~/.themes and used gnome-tweak-tool to set them. But only the Shell theme and the GTK theme works, the windows manager isn't changing, and if I restart by entering "r" in alt-F2, the shell restart but the window manager reset to "Simple" which is pretty ugly. I read the README but it didn't help me ... So if you could do anything, i'll be thankful! Regarding your issue, ANewStart is released for gnome 3.4, so it doesn't fit the recent gnome 3.8 that ships with fedora 18. 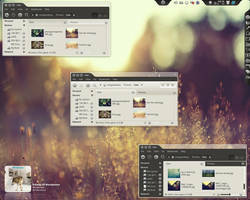 Not only the wm, but also the gtk theme itself doesn't behave like I planned it to! I'm thankful for your appreciation regarding the theme, but unfortunately I cannot help any more. And it's not my fault! Can you update to Ubuntu 12.04? please, i like this because is wonderfull!!! I'm sorry, I'm not even able to update it for ubuntu 12.10. I will surely do it for 13.04! Awesome staff! I was pretty happy with adwaita but man... after seeing your work I had to switch finally. I just have a little problem after following your instructions. 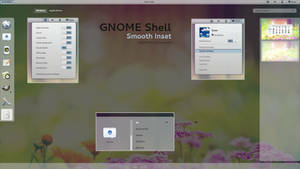 in nautilus and gnome panels the text shows in white, so I don't read anything with the light background. How can I change the font color? 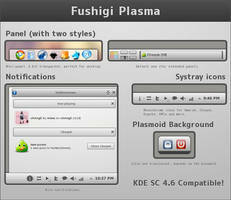 I managed to fix it by modifying the gtk-widgets.css file in the gtk-3.0 folder. Adding the line color: @theme_text_color; inside the * selector (like third line down). This makes everything that doesn't have a text color assigned use the theme's text color. Fixed all the white text. Hey mate, can you forward the modified css file. I am using Mint 14 & having same problem as you. Appreciated. Make it real please ! BTW stay tuned with it, I'm going to release a new updated version! Btw, unfortunately I didn't update ANewStart theme for Ubuntu 12.04 (only 11.10 is available), so you cannot install it properly (even though it may work). Try GrayRevenge instead, is fully available for 12.04! Will you release an update for Gnome 3.4 any time soon? That would be great!!! As soon as I can. Really. In the meanwhile, stay tuned with any update by me (if you haven't done it yet), and adding me on G+ ( [link] ). Moreover, if you have enough time for me, also read my latest journal entry in order to understand what's going on and why this is going to be not that quick (even though I'm working hard in order to do it). This theme looks amazing, but I'm having some issues using it. 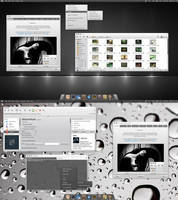 I've tried it on both Linux mint 12, Ubuntu 12.04 and Fedora 17. I get the same error on all. The window theme is set to "simple" instead of the one on your pictures. When clicking "Anewstart" nothing happends, I need to restart X and it will then default to the "simple" window theme. 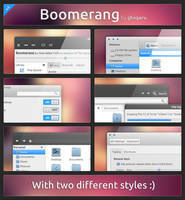 I have to update the theme to match latest gnome 3.4 version, so just wait a bit and you'll be able to use it again! Però potrei chiedere a minteastwood che invece mi ha dato una mano facendo il tema openbox per GrayRevenge! Tu in ogni caso saresti in grado di fare il tema? Stavo per scriverti che ho scritto a minteastwood, ma soltanto ora mi sa che mi sono confuso.. non ha fatto il tema openbox, ma il tema xfwm! Quindi il nostro problema rimane.. conosci mica qualcuno che fa temi openbox a cui chiedere lumi? ciao alecive io infatti subito dopo averti risposto ho installato grey revenge, però non me lo ritrovavo nei temi per openbox, ma vista la mia ignoranza in materia ho pensato di aver sbagliato io qualcosa ed ho lasciato perdere. se non altro il sollievo di non essere così scarso! grvrulz fa degli ottimi temi per openbox. magari tu da artista quale sei gli puoi chiedere un aiuto. se lo faccio io penso di ricevere solo uno sputo in un occhio! No secondo me no, di solito la gente è piuttosto gentile.. e poi mi serviresti tu proprio perchè tu puoi testarli e darmi un parere! per quel che riguarda testarli e inviarti degli screenshot su come appare e dirti come funziona, non c'è nessun problema. per quello ce la posso fare anche io! hi. 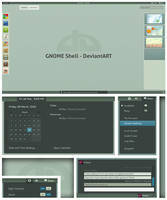 how i can design theme for gnome3. 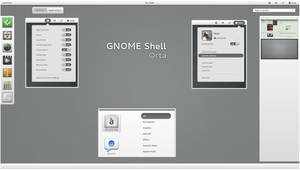 do you have any reference for gnome3 theme design learning ? Your work is phenominal! Please, please, please can you fork this theme for Cinnamon? Would look perfect with the window manager theme. 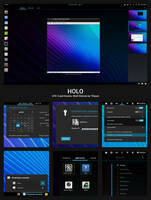 Cinnamon is desperately in need of light panel themes and this has great potential and would look magnificent on cinnamon! I'm workin' on it mate. Just wait a week or two and I will able to release the theme! My problem is that in this period I'm very very busy and I can't manage all the stuff that I have to work on! No worries man, take your time. Don't push yourself too much, you've already done some great work with your other themes and I do understand that this is not your full time job and one has to work to earn a living XD. You completely got the point! I'm going to have a bad and super-busy period in my working life, so I have to sacrifice my digital life, unfortunately. This is far from being painless, but it's the only solution! there is a pdf inside it with instructions! 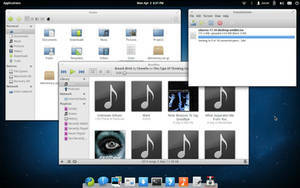 Btw, this will work In Linux Mint 12?